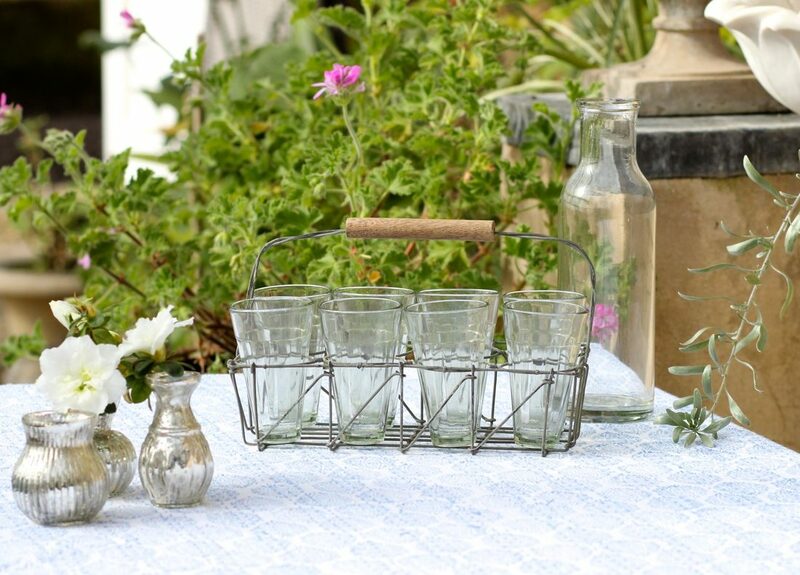 These vintage gems, once used for sipping the traditional Indian yoghurt drink, were found across the markets of Rajasthan. Etched with elaborate patterns, these brass and silver vessels look stunning individually and beautiful grouped together. 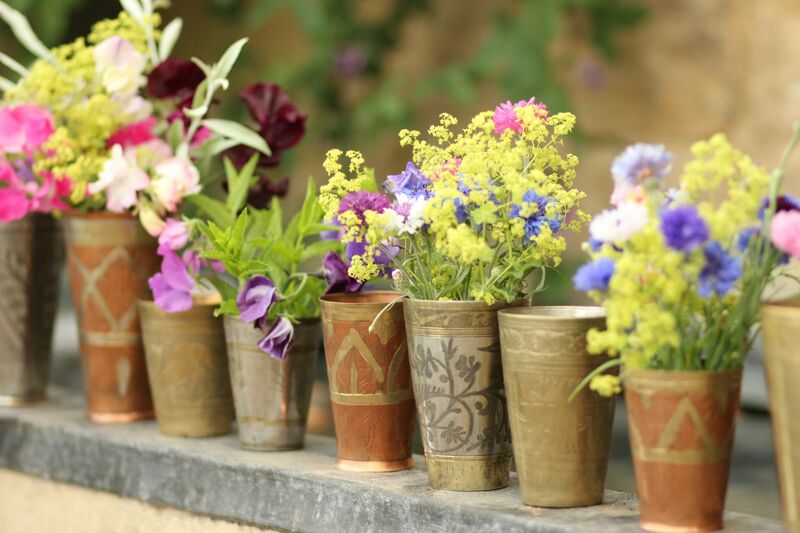 Display down the centre of your table, filled with sweet peas and cornflowers for a perfect colourful Summer touch. 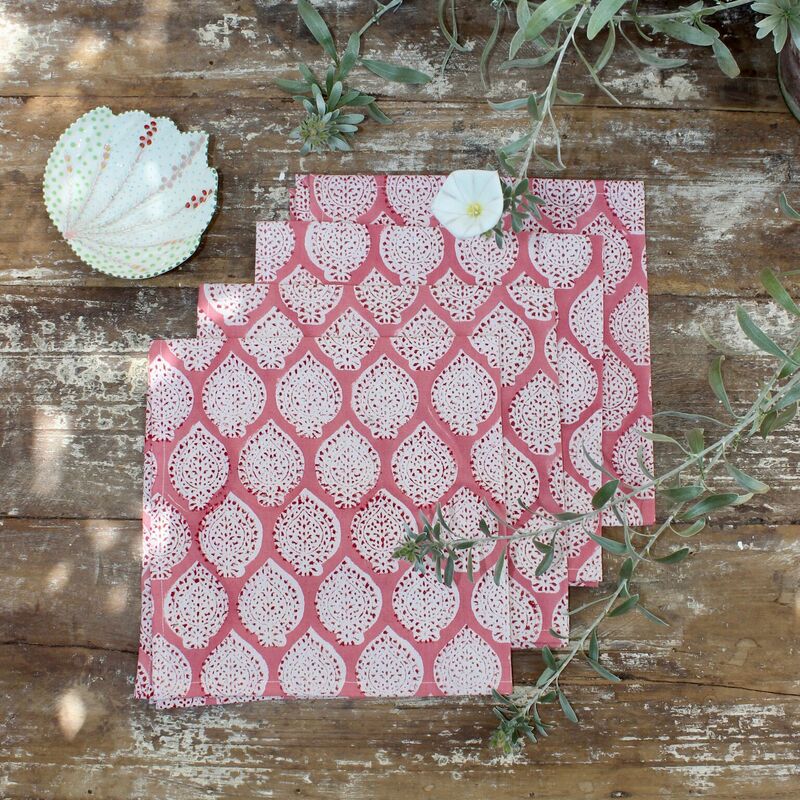 Our tablecloths and napkins are all hand block printed in Jaipur and the vibrant colours and intricate designs are made to mix and match. 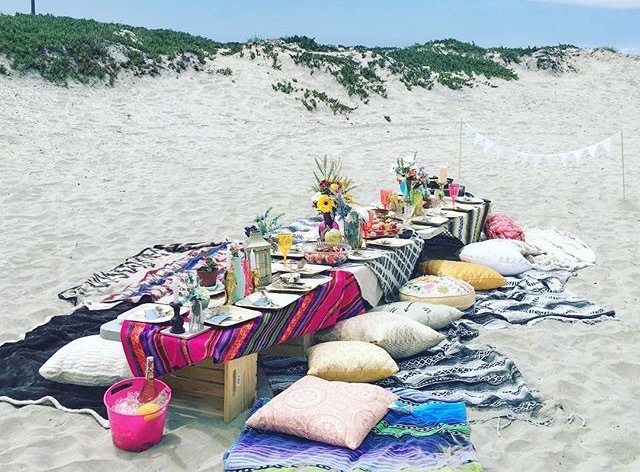 Create a fresh look by mixing patterns with plain linens too. Bright plain coloured linen napkins from your own collection will sit beautifully alongside these traditional Rajasthani designs. It’s simply always better by candlelight! and candles, however displayed, create the perfect intimate mood. We love an eclectic mix of candlesticks and different shaped lanterns down the centre of the table to create a unique individual style. 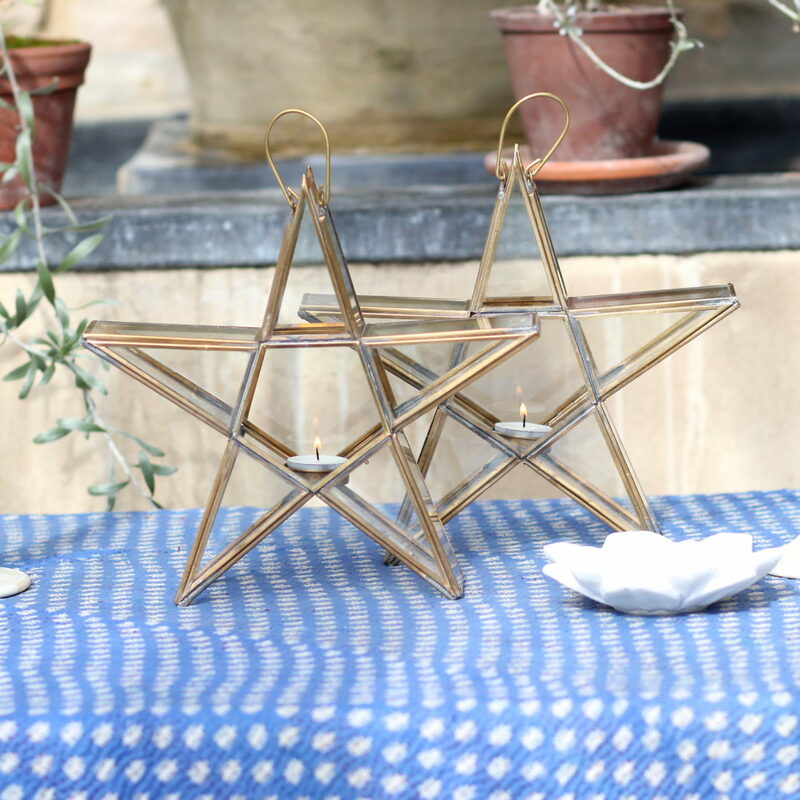 These standing star lanterns in brass and glass are a fabulous addition to any table and it really doesn’t matter whether you’re looking for a modern or more traditional look. They’re equally at home in both! From small ramekins to large salad bowls and platters, our bold, hand painted ceramics will add a wonderful splash of colour to any table. And whatever shape or colour you chose, these pieces always sit beautifully together. 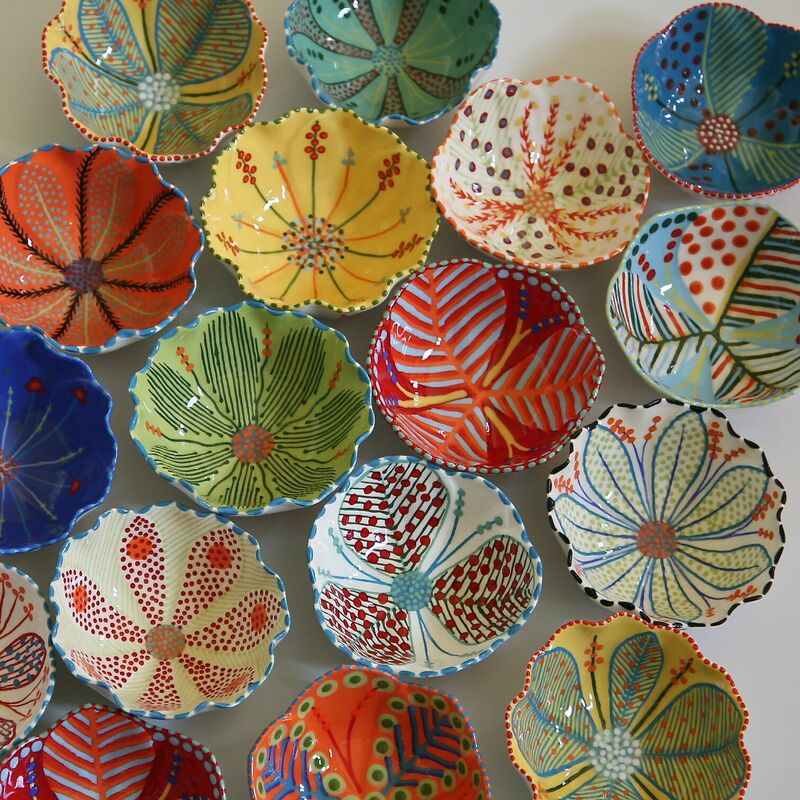 We love these tea sets, made in Rajasthan: the perfect accessory we think for your dining table. Ideal on Sunday evenings when you’re enjoying lazy drinks and supper with friends. Absolutely perfect for fresh elderflower cordial or a glass of well deserved chilled rosé after a hard day’s work in the garden! Have a fabulous, colourful Summer!